The 1999 TV-Series Futurama which lasted up to August 2003 may have it's comeback. 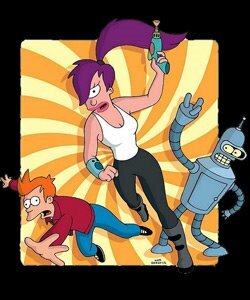 With high ratings on Cartoon Network in the United States, and high DVD sales in the United States, Futurama might be revived just like Family Guy was in May 2005. According to a post made by Billy West on his message board, Futurama is going to be renewed for another season with 26 episodes. No word as who will rejoin the cast, or whether it'll be two seasons which would consist of 13 episodes. Please keep in mind that all this information is still unofficial.